Hi! 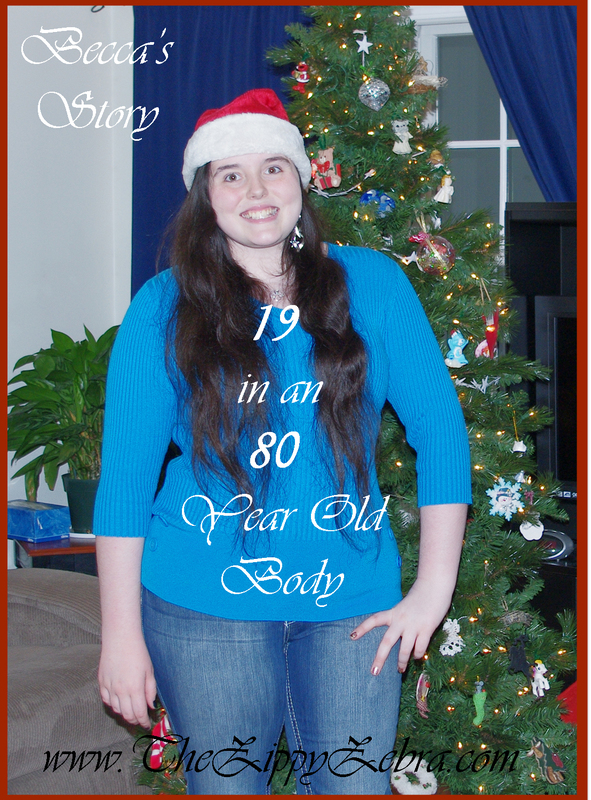 I am Rebecca V.
I am 19 years old but I feel like I have an 80 year old body. I have been diagnosed with HEDS and Fibromyalgia. My fibromyalgia diagnosis came after the EDS diagnosis. It means that my collagen is faulty and my joints are constantly popping, slipping, sliding, and dislocating. It means that if I do a task for too long (like knitting) my shoulders, arms, and hands will not work properly and hurt for days. Sounds like fun right??? My body literally falls apart with everyday activities.